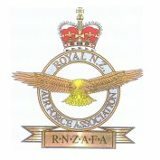 Notice is hereby given that the 21st Annual General Meeting of No 5 Squadron RNZAF Association is to be held in 5 Squadron Headquarters at RNZAF Base Auckland on Monday 13th May 2019 at 1345 hours. · 1130 – Assemble at Officers Mess for reunion lunch at 1200. · 1500 – Join current serving members of 5 Sqn for Happy Hour. The Association will subsidising the costs of the lunch to encourage as many members as possible to attend. The meeting has been scheduled to maximise potential interaction between our Association members and the current serving members of 5 Squadron. Partners of members are invited to attend all the events. Note: for security reasons at RNZAF Base Auckland it will be necessary for you advise your intention to attend the AGM, and for catering purposes we need numbers by Wednesday 8th May. Your timely response will be appreciated. The New Zealand Defence Force, is about to begin a year celebrating Pride 25 marking 25 years since lesbian, gay, bisexual and transgender (LgBT+) personnel were welcomed to serve openly. 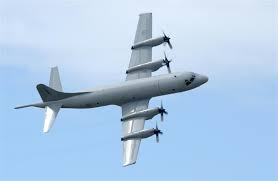 A flyover by a P-3K2 Orion at Auckland’s Big Gay Out at Coyle Park is the first in a series of public events throughout the year that the NZDF will take part in to celebrate Pride 25. This will include the Wellington International Pride Parade on 16 March and a photo portrait exhibition in Auckland of current and past LGBT+ personnel. “Pride 25 aims to remember those who had to once serve in silence in our Navy, Army and Air Force, to celebrate how far we have come, and to inspire our latest leaders across our Defence Force to continue efforts to make the NZDF a diverse and inclusive military,” Chief of Defence Force Air Marshal (AM) Kevin Short said. Following the passing of the Human Rights Act in 1993, the NZDF moved swiftly to incorporate the Act into its policies, and in early 1994 openly homosexual men and women were able to join and serve. “It’s sad to reflect there was once a time in this country where people were legally discriminated against on the basis of their sexuality, including here at the Defence Force, where being homosexual was considered incompatible with service in uniform,” AM Short said. 5 Squadron RNZAF Trophy presentation to Cpl Alex McLean at the 20th AGM June 2018. 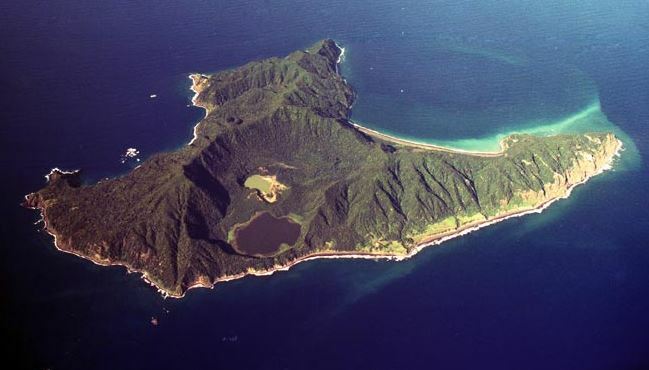 The Orion has been sent to deliver mail to Raoul Island, survey signs of activity from an underwater volcano, and conduct maritime surveillance patrols in support of Pacific Island nations. The crew will also brief officials in Niue about the NZDF’s maritime surveillance and search and rescue operations in the region. “This is a perfect example of the range of tasks we do in support of other New Zealand government agencies, as well as our South West Pacific neighbours,” Group Captain Shaun Sexton, the Acting Air Component Commander, said. Squadron Leader Jimmy Peters, the aircraft captain, said the first item on the Orion’s to-do list was to air-drop about 130 kilograms of mail for Department of Conservation staff based in the remote Kermadec Islands. The aircraft will also survey Monowai, an active underwater volcano halfway between Tonga and the Kermadecs, for GNS Science. On Friday (NZT), a 17-member team led by Squadron Leader Peters will brief officials from several Niue government agencies, including the Niue Department of Agriculture, Forestry and Fisheries and Niue Police, about the NZDF’s maritime surveillance and search and rescue capabilities. They will also give Niue officials a quick tour of the Orion. Squadron Leader Peters said he expected “mutually beneficial discussions” with Niue officials following the briefing. “It’s good to have these face-to-face engagements where we can chat about how we conduct search and rescue and maritime patrols and also gain an understanding of their expectations,” he said. The NZDF regularly sends aircraft and ships to conduct maritime surveillance patrols in support of South West Pacific countries. In 2017, RNZAF planes flew 114 hours on nine search and rescue missions in the Pacific. by Robin K which will be of interest to members, particularly the web-footers. The award includes a printed copy of the citation and an inscribed plaque to be retained by the recipient. The information held is only to enable us to keep in contact with you. We do not give any details to anyone without your say so, but if you do not wish to give us some items that is OK.